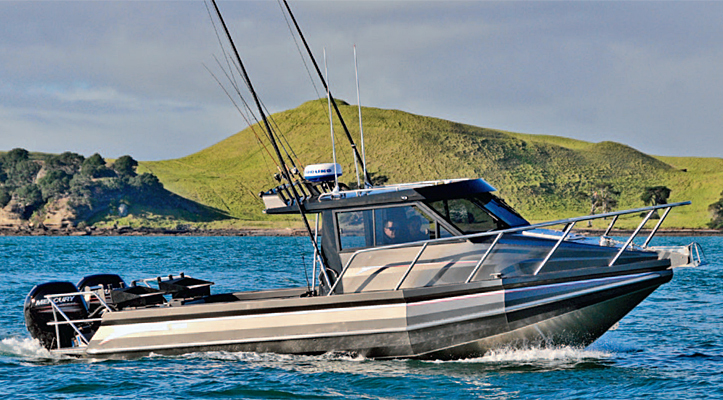 Well-known Napier boat manufacturer Senator Boats launched the RH 780 back at the 2006 Auckland Boat Show. The then-new model was well received and won the ‘Alloy Boat of the Show’ award that year. This hull was originally a scaled-up (not just stretched) version of the highly successful RH 750 model, and the design process took the outside beam of the hull to 2.7m, putting it into over-width towing territory. But as long as you have a suitable tow vehicle, an over-width boat is not a big deal these days – add a couple of flags to the trailer, get an over-width permit, and with some restrictions on travel times and places, you’re in action.